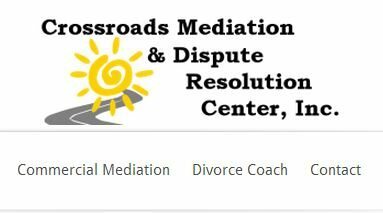 We just established the beginnings of the online presence for Crossroads Mediation & Dispute Resolution Center, Inc., which aims to help individuals solve disputes peaceably through mediation. Close to our heart. We designed from scratch and deployed a handsome looking WordPress website (using a premium theme from Elegant Themes) that features the many services offered by the Center. We optimized the site for search and helped to ensure it has an SEO-friendly structure and content. The site is indigenously responsive. That is, it will render appropriately on mobile devices of all sizes. Remembers that just because people use a mobile device doesn’t mean they themselves are mobile! We also helped Crossroads to establish various social media and local business directory accounts and assets. These include a Facebook business page, a Google+ business page, a Twitter account, and a YouTube account. They also include superages.com and multiple other directories. The site is set up with security and will be backed up regularly to ensure continuity in case of any software or other problems. We are privileged that Crossroads chose us to host their site and email and to provide managed WordPress care over the long haul, to keep its site up to date. We also helped Crossroads to shape its message, choose a logo and otherwise brand its services. We look forward to great success from Crossroads and helping them along the way! What can GoatCloud do for you? Give us a call at 518-557-7613 or email us and let’s talk about it.